What is Total Consecration to Jesus through Mary? Total Consecration Jesus is an absolutely beautiful exercise to increase your spirituality and ability to truly serve our Lord Jesus Christ. The basic premise set forth by St. Louis Marie de Montfort is simply that Jesus came into the world through Mary and that for us to always be assured of being close to Jesus, even closer than ever before, we should go through Mary. Initially, this idea may seem strange to some. Why consecration? And why consecration through Mary? What does that even mean? Consecration to Jesus through Mary according to the method of St. Louis de Montfort is a method used by Pope John Paul II and it is this consecration that lead to the founding of Rosary Army in 2003. We consecrate ourselves in order to be more devoted to the Lord and His Blessed Mother. It helps us grow in holiness and increase our faith, hope, and love. It is a prayerful and focused method of drawing closer to Jesus than ever before. The method of consecration set forth by St. Louis de Montfort is presented on this website, as well as in the 34-part MP3 podcast series freely available for download from this site. Consecration consists merely of a 33-day period of prayerful preparation followed by the actual act of consecration itself (also described on this site). The 33-day preparation includes a preliminary period of twelve days during which we endeavor “to free ourselves from the spirit of the world.” This initial 12 days is followed by a second period of three weeks. The first of these three weeks is devoted to the knowledge of ourselves, the second to that of the Blessed Virgin and the third to that of Jesus Christ. The object of this consecration is to cast off the spirit of the world, which is contrary to that of Jesus Christ, in order to acquire fully the spirit of Jesus Christ through the Blessed Virgin. Hence the practices suggested by St. Louis De Montfort: renouncement of the world and knowledge of self, of the Blessed Virgin and of Jesus Christ. How do I listen to the Total Consecration Podcast? Each day’s readings and prayers are available in MP3 format and can be accessed by direct download from each day’s prayers on this website, or by subscribing to the Total Consecration Podcast. Where do I get a book? 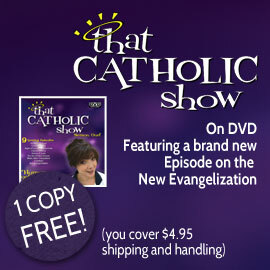 You can purchase copies at most Catholic book stores and from Amazon.com. Consecration to Jesus is for anyone, Catholic or not, who is old enough to understand the love of Jesus and Mary. The preparation is intended to prepare our hearts and minds by praying and meditating. It is not a problem at all to begin after the start date, but it is recommended to catch up by doing all the prayers. The cycle of preparation (daily prayers and meditations takes approximately 10-15 minutes per day) typically begins on a date that will end on a Marian Feast Day. The consecration will take place on a Marian feast day at the end of the period of prepration.